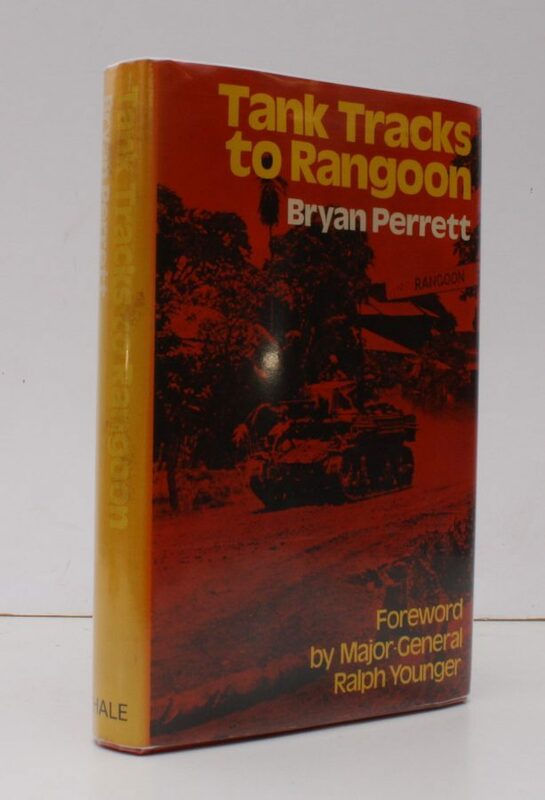 The Story of British Armour in Burma. Foreword by Major-General Ralph Younger. 8vo., First Edition, with 30 plates on 16 and 14 maps in the text; red cloth, gilt back, a very good, bright, clean copy in price-clipped dustwrapper, the latter mildly sunned (as usual) at backstrip. The definitive study by an acknowledged authority, this detailed account covers the vital role of 7th Armoured Brigade in the retreat to India and the subsequent struggle against convention until Admin Box and Japan's first clear defeat at British hands. Also includes much on the bunker-busting methods of the Arakan, the elan of the old Indian cavalry regiments and the savage fighting along the Irrawaddy Bend. SCARCE, ESPECIALLY IN THIS CONDITION; the dustwrapper is almost invariably sunned. Enser, p.43; Graham & Cole, K56.